San Jose is turning into more than just the playground of tech nerds. Look around downtown and you'll find a little character. Whether you've come for business or not, you'll find a lot to do in your spare time. 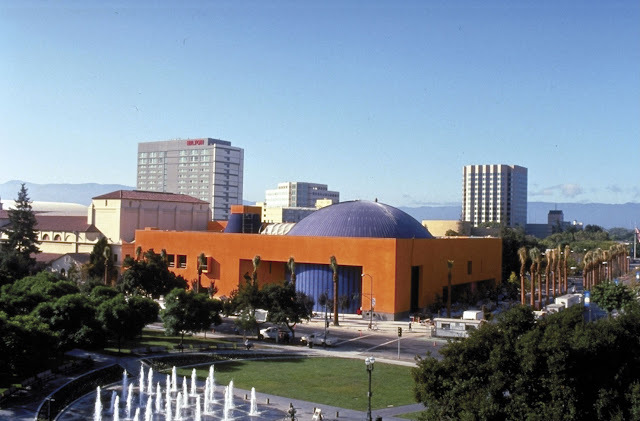 San Jose hosts a bunch of attractions that don't take too long to enjoy. 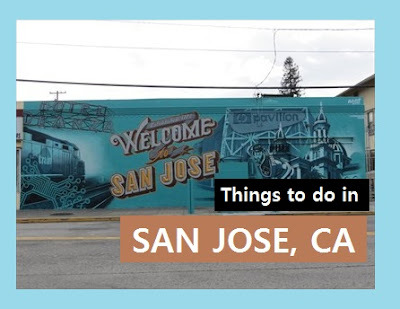 Here are 5 things to do on your trip to San Jose. Santana Row is a shopping development project. It is in west of downtown San Jose. Here you'll find restaurants, a movie theater and designer shops like Gucci and Kate Spade. You can also see Hotel Valencia and other apartments built above the ground-floor businesses that create an urban vibe. Visit at night and you'll see Santana Row as a nightlife hub. The shops and restaurants open around 10 a.m. and close around 9 p.m. Although many that cater to the late-night crowds will stay open well past these times. 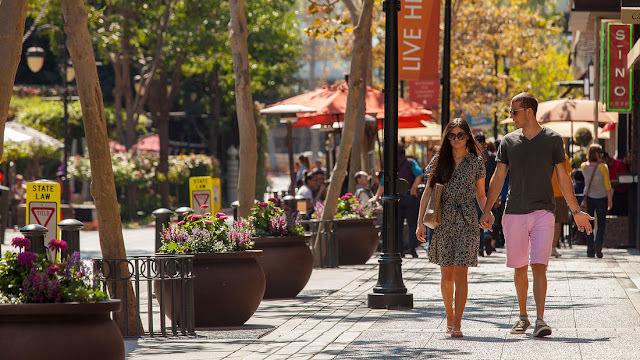 Pro Tip: Santana Row is the best people-watching spot in the city. Also keep your eyes on the parking lot: Exotic sports cars like Lamborghinis and Ferraris are often spotted here. If you're an architecture buff, you may want to set aside some time to see the Cathedral Basilica of St. Joseph. 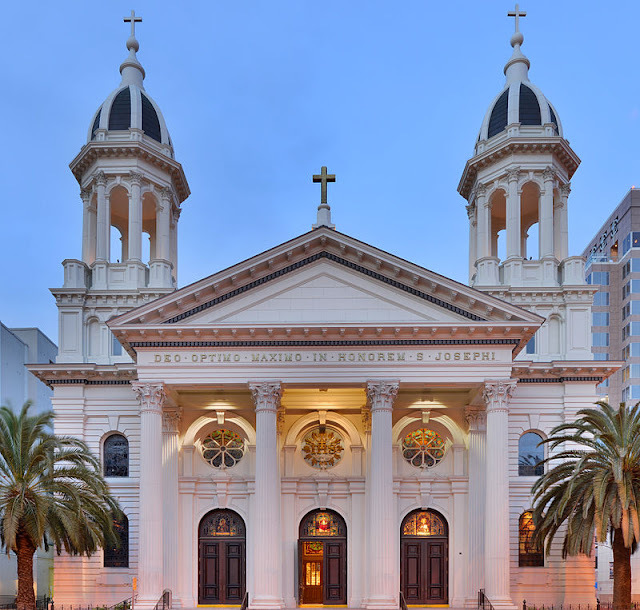 The Cathedral Basilica of St. Joseph is a large Roman Catholic church located in downtown San Jose. Visitors are attracted to the cathedral's architectural aesthetics. This structure is the fifth reincarnation and stands on the site of former basilicas that were damaged by earthquakes or fire in the 19th century. Aside from its impressive structural elements, the cathedral is admired for its peaceful atmosphere. Devotees of the Catholic church can attend a Mass celebrated daily. You can also have a view of the Cathedral's interior design explained by an expert in a tour. You can schedule a formal tour by filling out a form on the cathedral's website. Pro Tip: Entering the church is free, but it suggests a $2 donation per person if you schedule a tour. If you're into history, the Rosicrucian Egyptian Museum is the place for you. 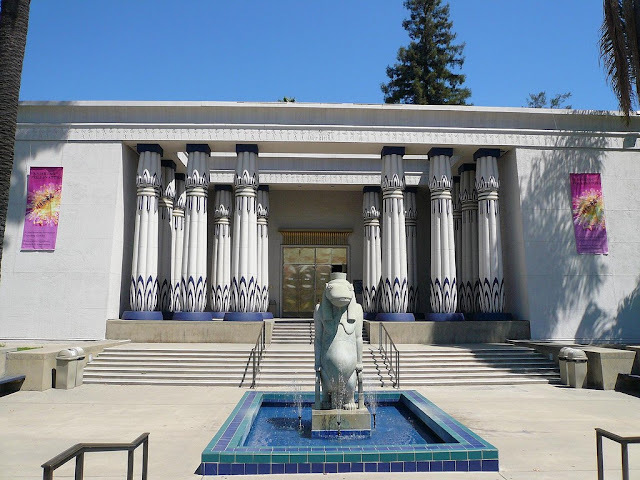 The Rosicrucian Egyptian Museum hosts the largest collection of ancient Egyptian finds on the West Coast. It has more than 4,000 artifacts. Visitors are thrilled at the sight of a tomb replica, the museum's many sarcophagi and mummies. You'll also find a planetarium that plays three different space films. This off-the-beaten-path attraction that even locals say they didn't even know it exists, offers a unique and educational top to-dos. The Rosicrucian Egyptian Museum is open from 9 a.m. to 5 p.m. Wednesday through Friday and from 10 a.m. to 6 p.m. on the weekend. Admission costs $9. Pro tip: If you enter the Rosicrucian Egyptian Museum from 4 to 5 p.m., admission is FREE. The Tech Museum of Innovation gives answers to the the curiosity of young people and offers plenty of hands-on learning opportunities that serve to educate museum-goers about scientific concepts, such as space exploration, biotechnology, clean energy, genetics and the science of sound. The museum's fun yet educational exhibits for their children like the Social Robots gallery, an area that allows kids to design, build and program a real robot using sensors, make visitors come back for more. The museum also has an on-site IMAX Theater that runs both educational and feature films. The museum is open every day from 10 a.m. to 5 p.m. Admission costs $24 for adults and $19 for kids ages 3 to 17, and combined educational IMAX film and museum tickets are available ($29 for adults and $23 for kids). Pro tip: The Tech Museum of Innovation is better suited for elementary school kids. This theme park in the Santa Clara neighborhood will satisfy your craving for thrilling rides, water park fun and live entertainment. The high-flying coasters like Flight Deck is the top attraction in Great America. The theme park offers a wide variety of carnivalesque booths along with a few entertaining performances. In summer, Great America also offers the Boomerang Bay Water Park and its fun slides, cabana and wave pool. 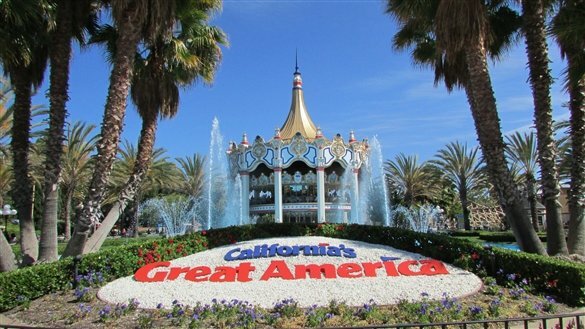 California's Great America maintains a seasonal schedule, so check the park's online calendar before planning a visit. From the end of March through September, the park opens at 10 a.m. and closes between 5:30 and 10 p.m. depending on the day and month. The Boomerang Bay Water Park operates on separate hours and days. And there are also special hours for its Halloween-themed day in October. Single-day tickets cost $38.99 per person if purchased online. If you buy your ticket at the gate, expect to pay $67 per person. Pro tip: You can save a few bucks on parking if you pre-purchase your pass online.